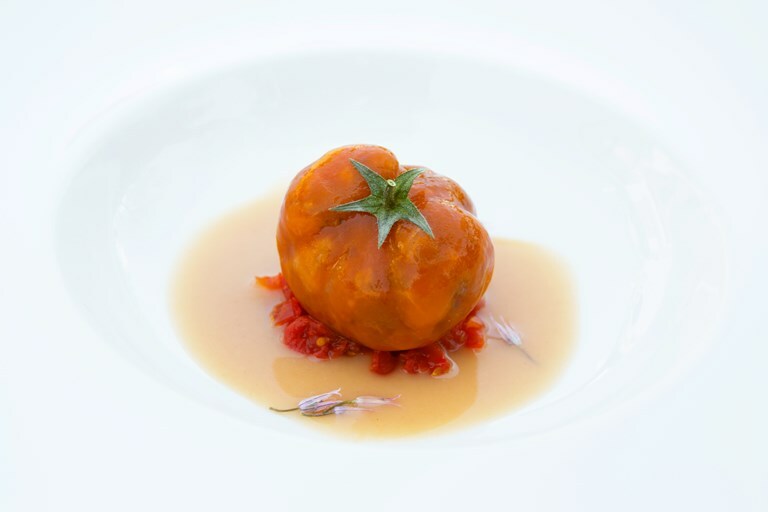 The Abbruzzinos disguise their tuna tartare recipe as a tomato in this colourful starter. Frisella is a type of twice-baked Italian cracker bread. Usually topped with fresh tomatoes and onion, they can be found in most good delicatessens. It isn’t always easy working with family but Michelin-starred father and son team Antonio and Luca Abbruzzino are united by their passion for Calabrian produce.